Discussion in 'Research News' started by erik, Jul 13, 2013. INDIANAPOLIS -- Indiana University scientists have transformed mouse embryonic stem cells into key structures of the inner ear. The discovery provides new insights into the sensory organ's developmental process and sets the stage for laboratory models of disease, drug discovery and potential treatments for hearing loss and balance disorders. A research team led by Eri Hashino, Ph.D., Ruth C. Holton Professor of Otolaryngology at Indiana University School of Medicine, reported that by using a three-dimensional cell culture method, they were able to coax stem cells to develop into inner-ear sensory epithelia -- containing hair cells, supporting cells and neurons -- that detect sound, head movements and gravity. The research was reportedly online Wednesday in the journal Nature. Previous attempts to "grow" inner-ear hair cells in standard cell culture systems have worked poorly in part because necessary cues to develop hair bundles -- a hallmark of sensory hair cells and a structure critically important for detecting auditory or vestibular signals -- are lacking in the flat cell-culture dish. But, Dr. Hashino said, the team determined that the cells needed to be suspended as aggregates in a specialized culture medium, which provided an environment more like that found in the body during early development. Additional researchers involved in the work were Andrew M. Mikosz, B.S., Andrei I. Molosh, Ph.D., and Dharmeshkumar Patel, Ph.D., of Indiana University School of Medicine. Support for the research was provided by National Institutes of Health grants RC1DC010706, R01GM086544 and R01MH52619, a Paul and Carole Stark Neurosciences Fellowship and an Indiana Clinical and Translational Sciences Institute Predoctoral Fellowship (NIH TL1RR025759). I think this is amazing news. We are not talking about humans but we can see where they are going. Where abouts in Australia are you Jade? I am Miss Lavender a new member here, also in Australia. @Miss lavender nice too meet you, I live on the Sunshine Coast yourself? I live in Melbourne. Bugger I thought if we lived in the same city we could catch up and share stories and even have a good laugh. Never mind, nice meeting you also. Hope you are coping well with the big T.
This self-organization discovery is pivotal. It was even cited in Nature, but he article is pretty useless unless you buy the pdf. Wonder if there's a review article somewhere summarizing the current state of inner ear stem cell research? The authors also note this discovery will fuel additional research into inner ear disorders. Tinnitus, perhaps? Did you notice the funding sources? Two are internal, i.e., Indiana University. But several others are from the NIH. Without a doubt, the NIH is driving most of this research. And the VA is at least partially driving the NIH. With this sequester, I wonder how many hearing and tinnitus research grants will remain unfunded? Somebody sent this to me, and it looked significant. I'm just the messenger. The title above has a link that goes to the actual article, which has some nice photos. This was posted earlier by erik, I merged the threads. After a significant amount of research, I managed to track down a clinic that has treated one former patient for both hearing loss and tinnitus. After a long thought process, I decided to attempt their stem cell therapy, and so I will be leaving this weekend for a clinic in Bangkok. Very interesting , if it works for you please let us know and I will be on the next plane to Bangkok. 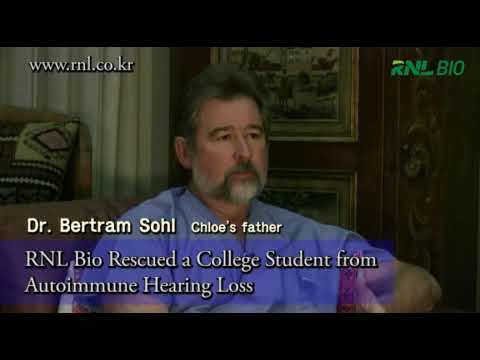 You have tinnitus only since April 2013 and you are going the stem cell route ? hi can we have this clinic contacts? Huuj a german fronteer, we can all meet in a bar after the treatment. If this works for you@attheedgeofscience and if v can all try this I'll fly down to Germany jus to join you in the bar. And the 1st rounds on me. I say if the treatment works for us we all meet in a bar and ask the bar to blast the music level through the roof! @attheedgeofscience I must comment on your bravery and tenacity. It's not easy to arrive at Duchenne a decision especially in a science that is very very new. Well done. Do let us know in detail what this treatment is all about. Please I'd say you have kindled a lot of hope. Get details. And ofcourse address of the clinic please. I read your introduction with great interest yesterday. Welcome to this terrific forum and please keep us posted on your progress. NYC is a long way from Germany, but I might just meet you all at the bar anyway! Thanks for even showing interest in sharing your story (albeit in private). All I can say is BEST OF LUCK. from all of us and I'll pray that it works for you. I honestly will. It goes to show some people do care and just that thought makes me tingly all over. We all wait with bated breath. I'm very pessimistic about this procedure. They harvest stem cells from your body and stick them back in the damaged tissue. Then they are supposed to heal the tissue? How does this apply to Tinnitus? are they going to open the cochlea and just put them there? Sorry, it sounds preposterous. Chinese hospitals use adult stem cells from the patients themselves. Stem cells are harvested from the fat around the belly. The stem cells are then injected into the spinal cord or intravenously some days later. The delay is important to allow the site of the liposuction to heal itself first. Injecting stem cells into the cochlea is not common. I thought i read it takes weeks for iPSC to transform into inner ear cells. If they inject them into your blood stream, how do they know they have to go to the cochlea ? Thanks for answering, I didn't know you could get stem cells from fat. I still don't know how stem cells on your blood are going to regenerate the hair cells. Is there any precedent for that? At some point in my T-adventure I contacted Returning Hope but seeing the price vs the no guarantees kind of made me reconsider.They did get back to me asking about my hearing measurements as well as medical history but made it very clear that there were no guarantees. I was a bit sceptical about the delivery system as well. I really , really hope this works for you. If it does I am going. Whoa!....its great to hear about this and is a fun read but still its in rats wheres the evidence in humans. And as is is it really possible to gauge what happens after the transplant is complete...Oh and by way the injecting IV is not transplantation....its supposed that the iPSC will simply migrate to the inner ear and allow growth and /or repair of inner hair cells....I hope/and wish it is that simple. Also aren't stemcells of different types based n from where they are derived and wouldn't you need the ones from an E-cord .....gosh i'd have to do time travel for that.